Preliminary scientific butterfly illustration drawn by Ottawa artist William H. Howe (1928-2009), who spent a lifetime drawing butterflies. Howe's interest in insects surfaced as a boy in California, when he witnessed the metamorphosis of several caterpillars brought home by his entomologist father. 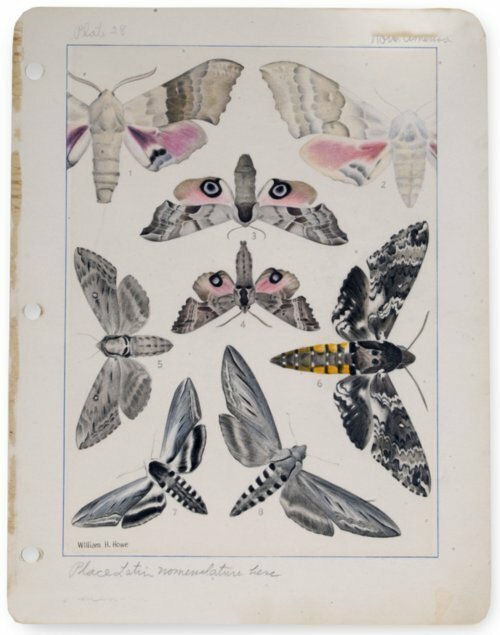 Howe then assisted his father in collecting butterflies on scientific expeditions. After graduating from Ottawa University with a degree in biology in 1952, Howe attended the Kansas City Art Institute. Howe illustrated two books and displayed his art at libraries and art centers in Lawrence, Topeka, and Ottawa. According to Howe, this sketch shows his shift away from the inclusion of background, and a return to careful delineation of the butterflies themselves.